The Japanese military has received orders to strike down the planned launch of a long-range missile by North Korea, if it is deemed to threaten Japan’s national security. Following a meeting of the Security Council of Japan, chief cabinet secretary Osamu Fujimura was quoted by Agence France-Presse as saying that the military will destroy the projectile or any part that appears to land on Japanese territory. The government will broadcast information to local authorities and other broadcasters, whilst social media will also be used following the missile’s launch, Fujimura said. The move follows reports about increasing activity, including the filling of a fuel tank alongside the launch pad at the Sohae satellite launching station in Cholsan Country, North Korea, that could indicate a test launch taking place as early as next week, The Daily Telegraph reported citing Yonhap News Agency. Japan has already deployed Patriot advanced capability-3 (PAC-3) missile batteries in Tokyo and Okinawa, and a trio of advanced Aegis radar and ballistic missile defence systems-equipped destroyers have sailed into the Sea of Japan. The US has also sent warships in to the region to monitor the launch, which is rumoured to have a 10 to 22 December 2012 launch window. North Korea maintains that the launch is peaceful and is intended to place a communication satellite into orbit, but the international community, including the US, South Korea and Japan, consider it a violation of UN Security Council resolutions. Previous attempts from North Korea to launch a satellite into orbit using its long-range Unha-3 (Galaxy) rocket in April 2012 failed. 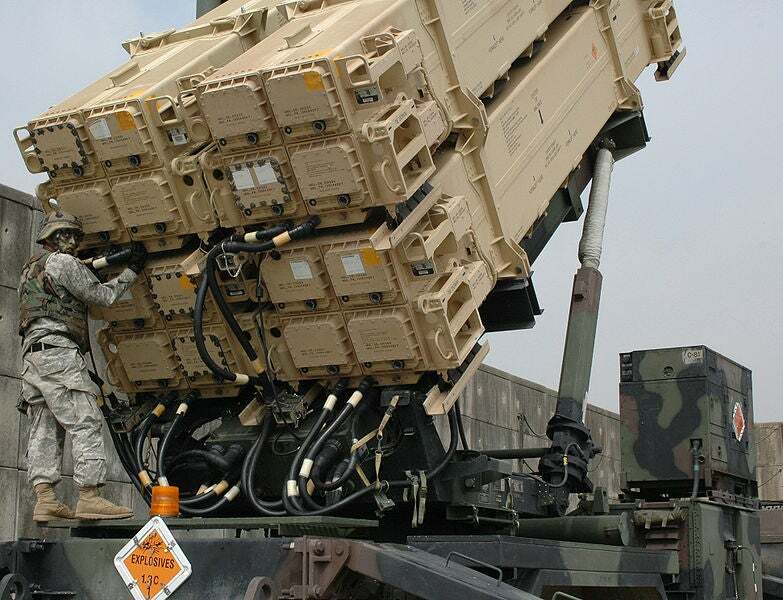 Image: A Patriot advanced capability-3 missile launcher stationed in Osan, South Korea. Photo: Lyta79/ US Army.